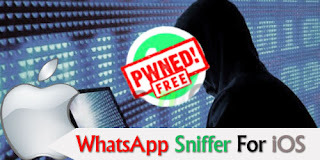 The iPhone users who want to spy on other people’s WhatsApp account, they can use the WhatsApp Sniffer for iPhone. That is because it is a reliable application. At the same time, it offers various excellent features. Besides, it is easy and free to use as well. But, you should not use this app for blackmailing purposes because hacking is a crime. What Is WhatsApp Sniffer for iPhone? The WhatsApp Sniffer for iPhone is application WhatsApp hacking app for iPhone. With the help of this tool, you will be able to see other people’s WhatsApp account. However, this application is quite an impressive tool, and it has a simple interface that makes easy to use the app. To use this app, you have to be close to your victim’s device. In addition to that, both nodes need to be on the same network. But, if those devices are not connected or stay nearby, then this application is not going to work. On the other hand, you will be able to use this tool on any network. At the same time, it doesn’t matter that your network is Wi-Fi, WEP, or Open as well. Besides, there are two versions of this app available, and one is paid version another is a free version. How to Use WhatsApp Sniffer on iPhone? The WhatsApp Sniffer is an excellent application that offers many useful features. Moreover, you will be able to get other person’s WhatsApp data without any problem. Now, if you don’t know how to use this tool, then you should follow the steps below. You have to full-fill some requirements before using this app, and those are as follows. Your device and your victim’s device must be connected to the same Wi-Fi network. Both nodes have to be closer to each other as well. At first, you have to download the iPhone Backup Extractor app, and you can download it free from this site. After that, you have to search for the filenet.whatsapp. whatsapp/Documents/Chatstorage.sqlite file. Then it is essential to make an unencrypted backup with the help of software, which is iTunes. Follow the above steps correctly, and you will be able to use it. Conclusively, the WhatsApp Sniffer for iPhone is a fantastic app that will let the iPhone users hack other iPhone user’s WhatsApp account. Besides, it is a free and straightforward to use the app. So, you can try this one out.